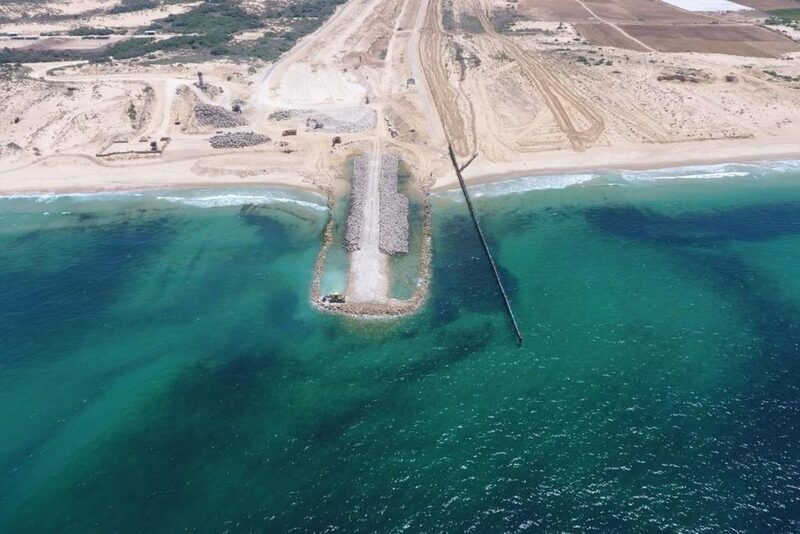 Israel’s underwater barrier designed to further blockade the besieged Gaza Strip, seen during construction in 2018 at Zikim beach, approximately three kilometres from Gaza’s northern frontier. 3 Feb 2019 – The Israeli Defence Ministry announced today it has begun building the overground part of barrier around the blockaded Gaza Strip. This work is licensed under a Creative Commons Attribution-NonCommercial-ShareAlike 4.0 International License. If the image(s) bear our credit, this license also applies to them.